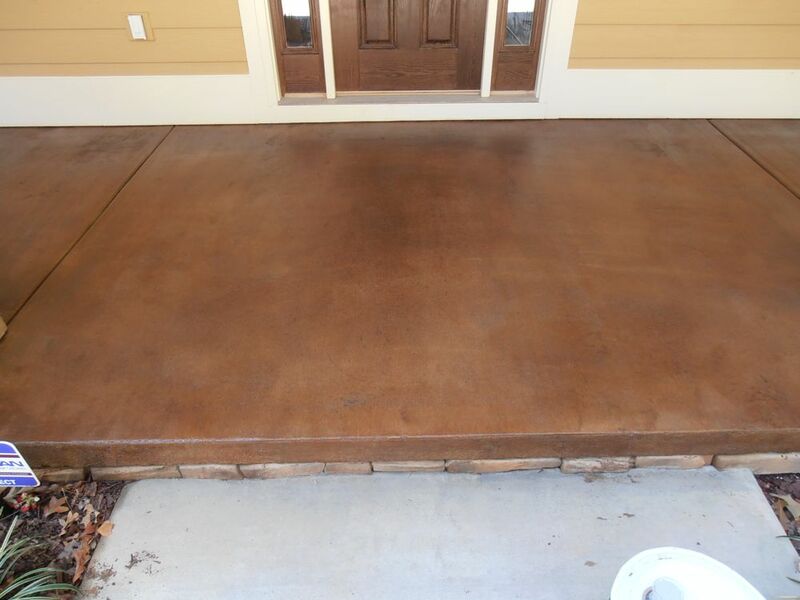 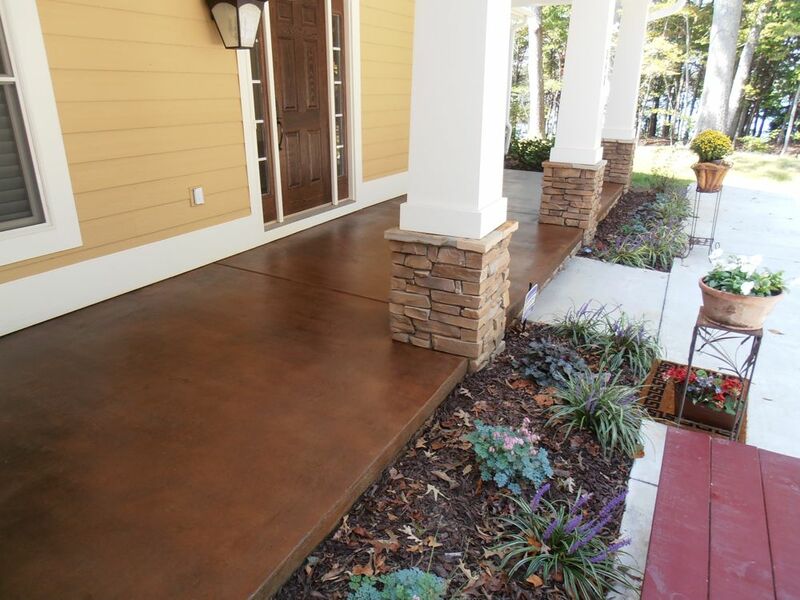 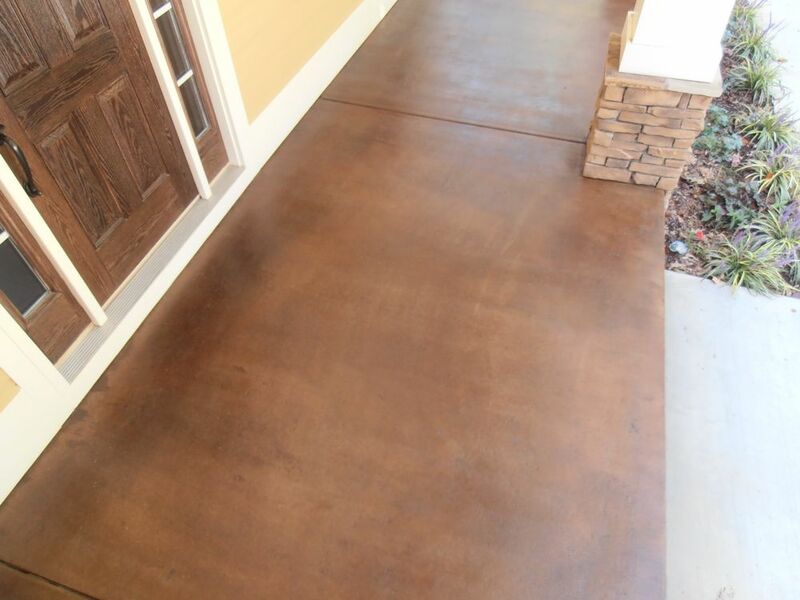 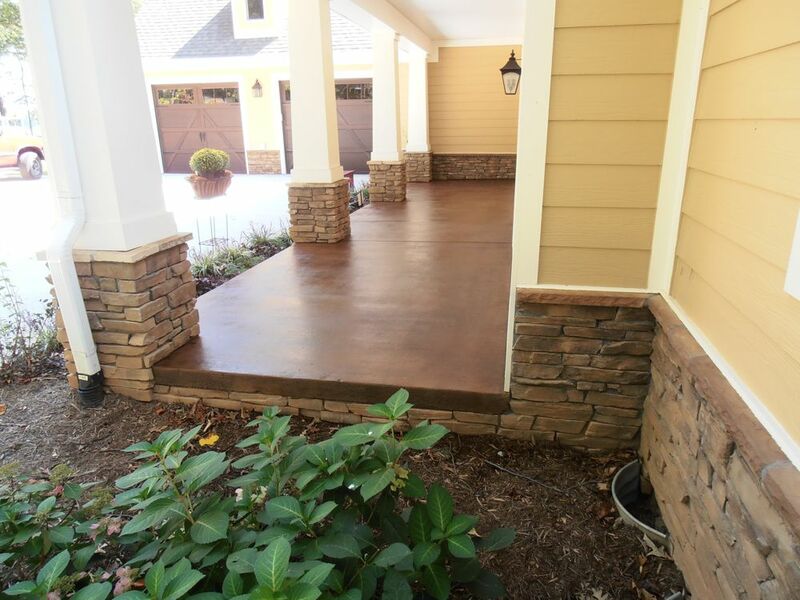 Did you know that stained concrete can look great on a broom finished exterior porch or patio? 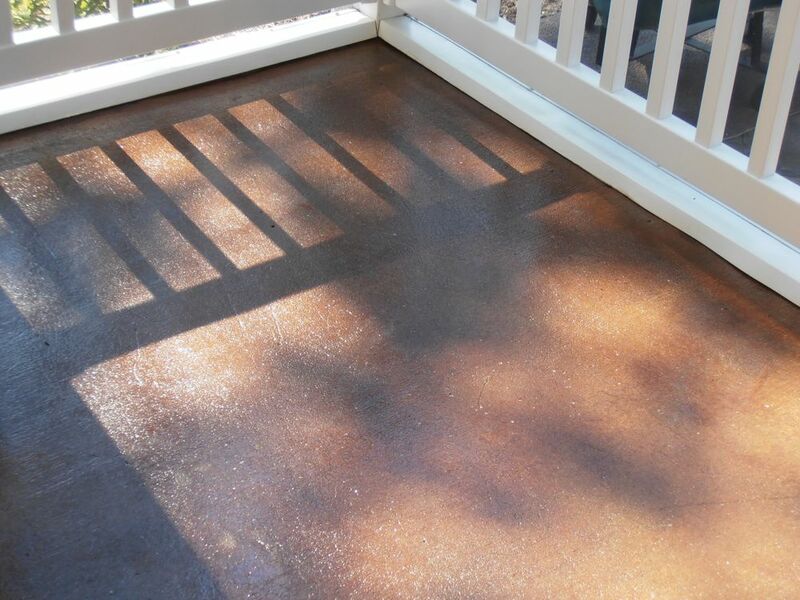 If you do a quick Google image search for ‘stained concrete’ almost every single photograph is of a nice shiny interior floor. 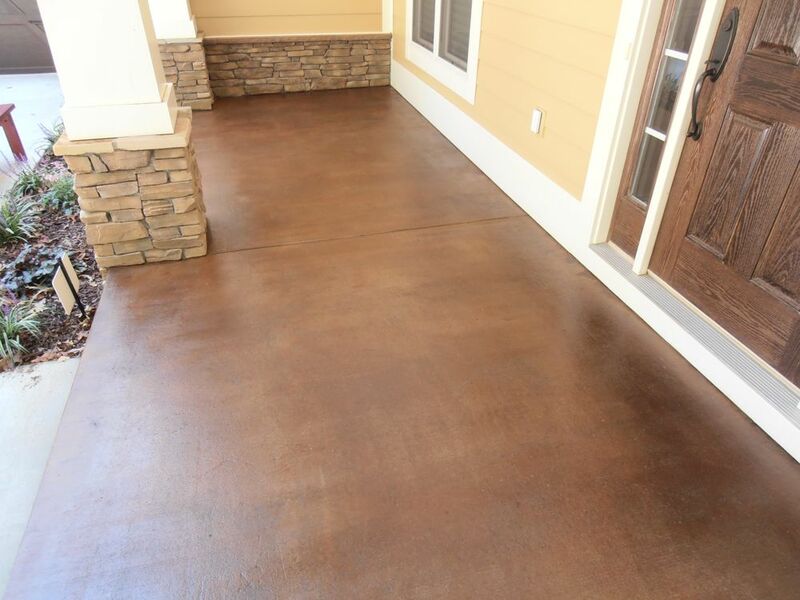 Even manufacturer’s stained concrete brochures or websites hardly ever have any pictures of a stained patio or stained porch. 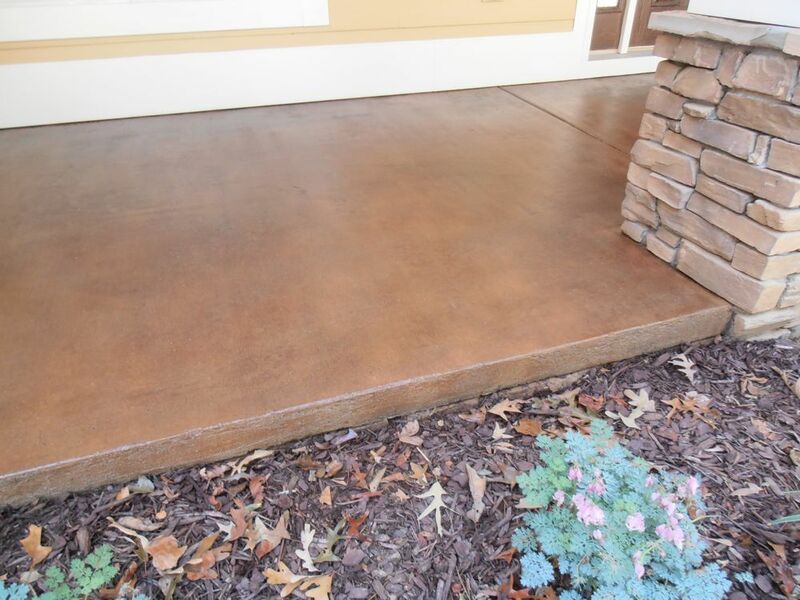 For some reason, stained concrete is often overlooked for exterior surfaces. 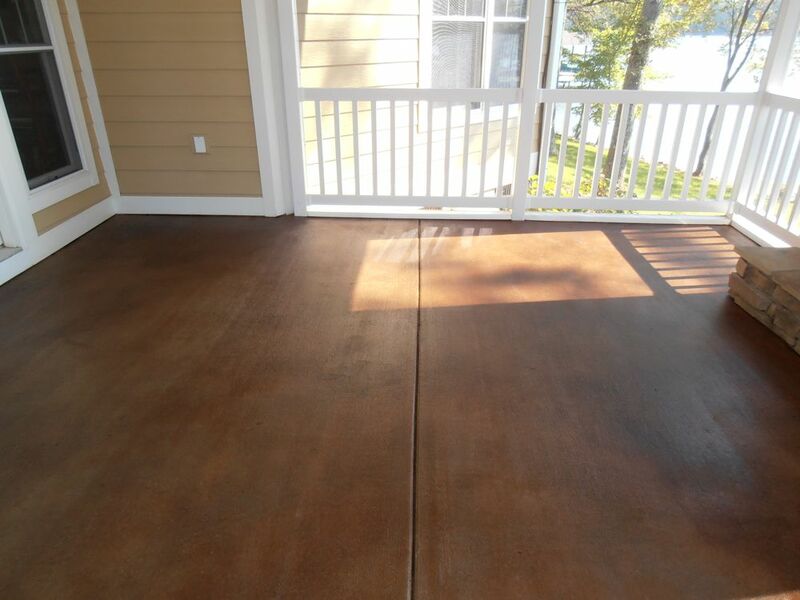 We just finished a project at a Smith Mountain Lake home where we applied Increte’s Walnut stain and finished it with a high solids clear sealer. 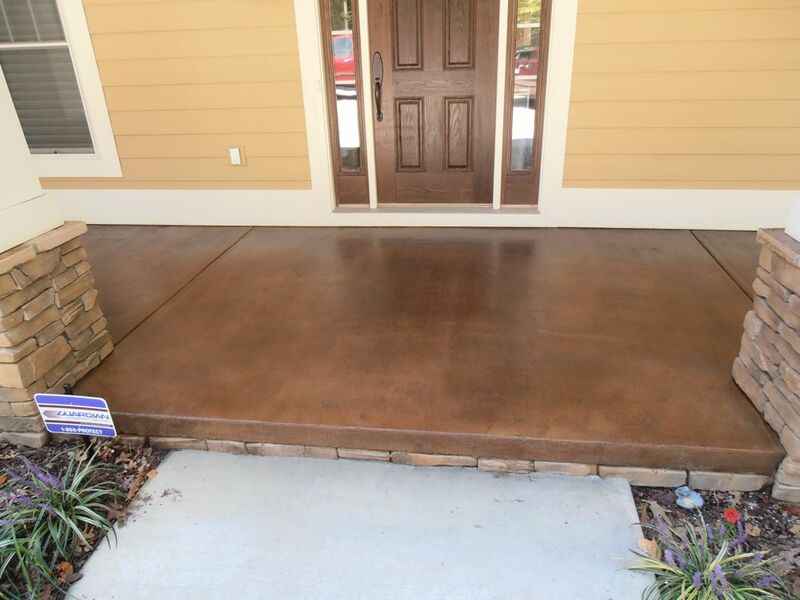 We think the final project turned out great and we wanted to post a few photos so that maybe more people will consider stained concrete as an alternative to covering up existing moldy concrete porches and patios. 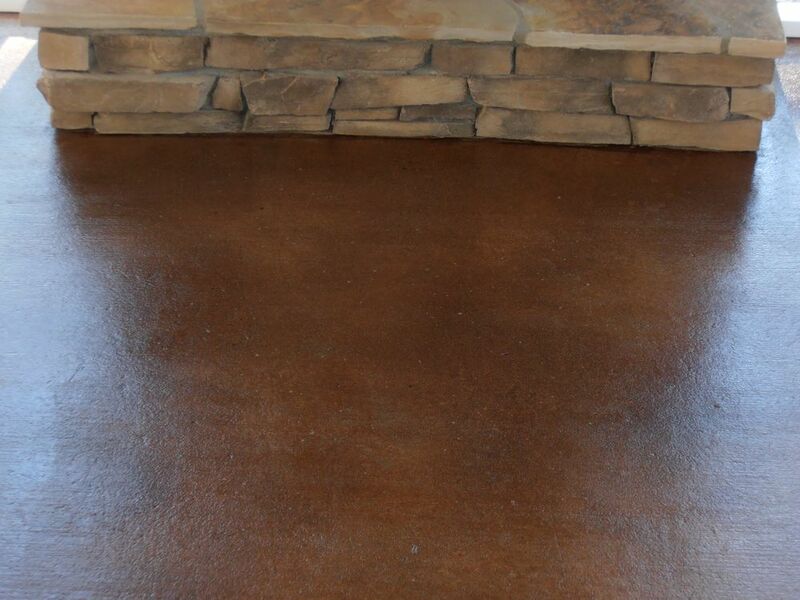 Click here for more Stained Concrete Ideas.